Living less than 30 miles away from Dover, Pennsylvania (and having family from the area, even), I'm somewhat familiar with the concept of rural areas embroiled in national controversy. The 2004-05 Dover case for teaching intelligent design in public biology classrooms ended well, thanks to a judge's ruling that upheld separation of church and state. For obvious reasons, this December 2005 ruling was a substantial victory in a case that only gained traction because Dover's school district was ignorant of the clear difference between "theory" and "scientific theory". That same year, residents of Topeka, Kansas endured their own variant of the 1925 Scopes trial, in which separation of church and state was once again tested by those who felt religion---in this case, only Christianity---deserved a seat at the table in science classrooms. Members of the Kansas State Board of Education (represented by Steve Abrams, Connie Morris, and Kathy Martin) sought to rewrite the standards in which science was being taught to high school students, and their obvious faith-based bias gave the proceedings a strictly one-sided atmosphere. Adding fuel to the fire---albeit unintentionally---was the fact that several key members of the scientific community boycotted the hearings out of protest that their participation would lend a degree of credibility to the other side of the debate. Their plan kind of backfired, and Jeff Tamblyn's documentary Kansas vs. Darwin (2007) captures a maddening overview of the flaming train wreck as it happened. At times, it's downright unbearable to witness some of these people speak, as the arrogant bias of certain "Intelligent Design" supporters---especially considering the trial's initial outcome---will drive most reasonable folks right up the wall. Consider Connie Morris, who proclaims during one interview that she was chosen by her Creator to serve on the school board, and smirks constantly as "the other side" delivers their message. I can't imagine how Tamblyn managed to shoot more than 130 hours of footage---let alone assemble it into a reasonably well-balanced and objective film---without falling victim to alcohol poisoning. Now that's a miracle. Still, the end result feels like something of a missed opportunity. It's not a particularly polished or compelling production beyond the wild subject matter and almost unbelievable antagonists, hindered further by uninspired visuals and the clinical back-and-forth appearance of opposing sides. Not to mention, of course, that Kino's new DVD of Kansas vs. Darwin feels like a relic: the hearings have been over and done with for over a decade now (with no new developments since 2007), and the film's already been granted two different DVD releases since then. So while it's not a terrible choice for those interested in the genre or subject matter, this isn't an impressive release in any department. Presented in its original 1.85:1 aspect ratio, this 480p transfer of Kansas vs. Darwin looks exactly as you'd expect for a low-budget documentary from the mid-2000s...and probably a little worse, if I'm being honest. Interview footage appears to have been shot mostly with consumer-grade digital equipment and little to no professional lighting, which results in a image that's watchable but rife with contrast issues, bland colors, and somewhat fuzzy image detail. On-screen text often suffers from aliasing, as if it were non-anamorphic and simply blown up to fit. Occasional still images fare much better, with crisp image detail and much better resolved contrast and color. Overall, I'd imagine that Kansas vs. Darwin was never a pretty film and no amount of spit and polish would yield much better results. The default Dolby Digital 2.0 Stereo track is also underwhelming at times. The background music is often mixed much too loudly and tends to drown out some of the dialogue, although this doesn't affect the bulk of the film (mostly the opening and closing segments). Other than that, interview footage is, for the most part, cleanly recorded no matter the location, while a handful of conversations include forced subtitles to clear things up a bit. So again, this DVD does what it can with the source material, and as long as your expectations are in check you shouldn't be too disappointed. The plain-wrap menu designs provide feature simply navigation and quick loading time, with access to chapter selection and bonus features, which include a few Bonus Interviews (7 clips, 4-8 minutes each) with key participants including Michael Behe, Pedro Irigonegaray, Connie Morris, John Calvert, and more, as well as the film's Theatrical Trailer. This one-disc release is housed in an eco-friendly keepcase with poster-themed artwork and no inserts. 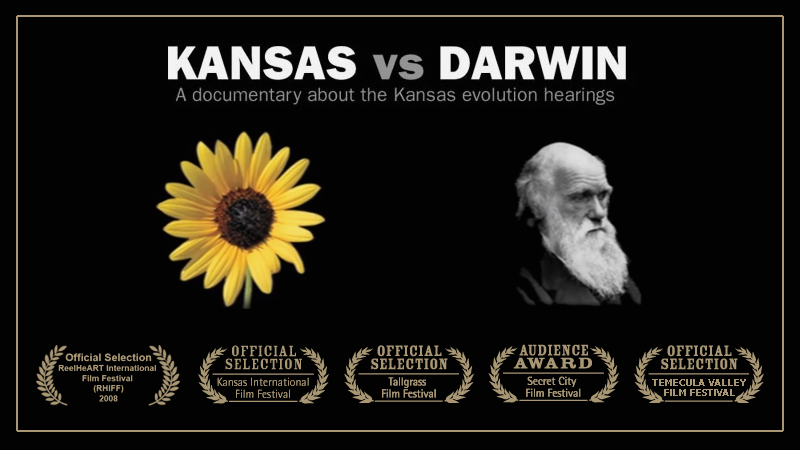 Supremely affecting for some of the right reasons, Kansas vs. Darwin is a candid look at an unfortunately debatable issue that will drive scientific-minded viewers up the wall. 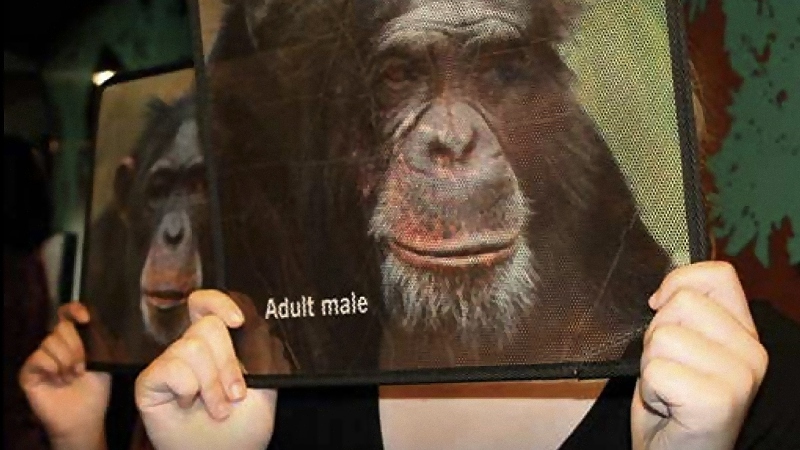 If this doesn't offer proof of human evolutionary stages, what does? 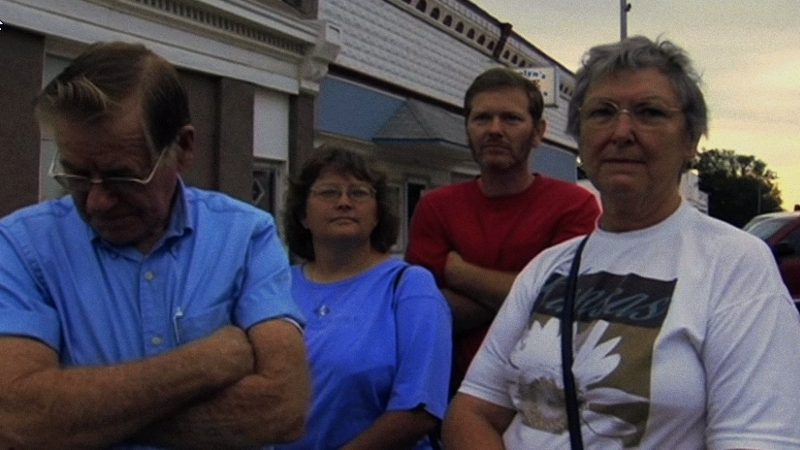 Kino's DVD, on the other hand, feels like a relic: Kansas vs. Darwin is a decade old and the A/V presentation follows suit, while a collection of bonus interviews simply give us more of the film's best and worst elements. Rent It.